The past few years have seen an increase in the number of accidents involving emergency personnel at the scene of an already accident or incident. Our first responders are getting hurt and some killed. 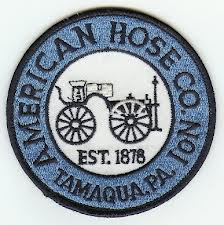 The following incidents have taken place over the past week alone, Dash Cam Captures Scary TX Wreck, PA Driver Drove over Fire Hose, VA Lieutenant Killed in Apparatus Wreck, and this one was from August, Fire Police Officer Hit by Vehicle. And there are more, Car smashes into fire truck on I-4, Driver crashes into Firetruck, Suspected drunk driver crashes into fire truck. We ask that as you near an accident scene, slow down, put your four-way/hazard lights on and pay close attention. Flares are put out as quick as possible to alert drivers and the use of the emergency lights should be a clear indicator that something is going on. Safely slow down as far from the scene as possible and watch for someone to give you directions to stop or change lanes. Put your phone down, don’t try to capture a video or picture. Not only does this increase the danger to you and our first responders, also consider the patients and their families privacy. We are not there to make your drive an inconvenience for you. We position our fire truck to be a 35,000 pound traffic cone and at times we may shut down a lane or an entire road to protect the scene and the responders. If you are near or see a fire scene, do not drive over hoses or around barricades and obey fire police who will provide direction for you. Not obeying fire police or going around a barricade puts you at risk for injury and is illegal. 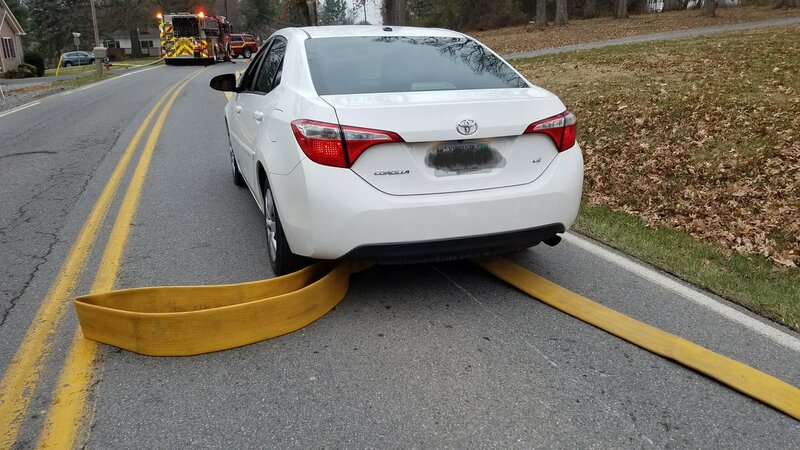 Driving over a hose will damage it, which is costly to the department, but also can impact the water flow to the firefighters and exterior operations. You will place the first responders at risk and hamper their efforts to fight the fire. Thank you, be safe, and please SLOW DOWN AND PAY ATTENTION!! !